Dev Infotech has a special package of softwares for Tax Consultant/Accountant/CA based on their specific requirements. GST software serve as a backbone of the GSToperations in organizations. GST is a well-organized version of the indirect taxes on goods and services by the central as well as state governments in India. gst billing software for medical wholesalers/ distributors & retailers. also for all kind of other business. note: we can develop customized website and softwars. Brand: Technotron Infosys Pvt. Ltd.
India's no. 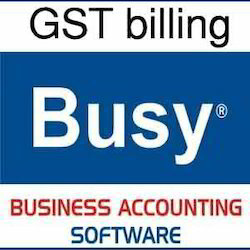 1 Inventory and Accounting Software with GST Billing Process . Now you can easily solve your all Billing related problem with MARG. The complete Business Accounting software for Trader/Manufacturer along with GST, Trading Excise, Manufacturing Excise, Stock Management with Barcode facility etc. Unique Accounting software offers the power, flexibility, and support you need to face today's challenges with confidence and welcome the business and technological changes that are sure to come with your success. BE PREPARED FOR GST BILL NOW. From 1st July it will be for your industry. SPECIAL ERP SOFTWARE ONLY FOR THE BIDI INDUSTRIES.